Sony have just released firmware v4.10 for their extremely popular, and now industry standard Sony PXW-FS7 camcorder. This is a remedial firmware, which addresses a few bugs and improves functionality. 1. Operability of low speed zoom by handle zoom button is improved. 2. Phenomenon that clip is shot different form user setting gamma occasionally is improved. 3. Overall stability and operability of the camera is improved. 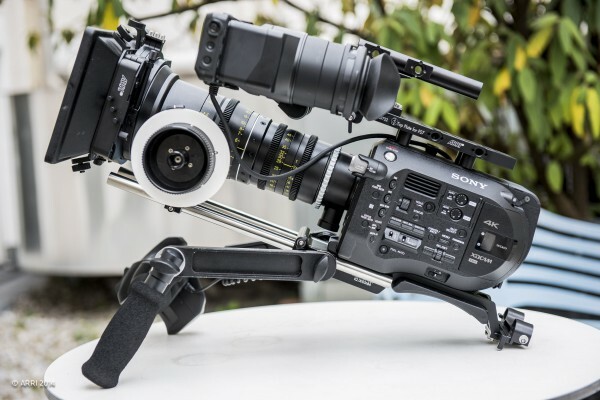 We highly recommend all our FS7 customers update their cameras to the latest firmware update. With the previous v4.0 firmware a small number of users had reported bug experienced when a REC.709 LUT had been recorded over their footage, when it should not have, causing some overexposure issues. Sony have now address this issue with firmware v4.10, which you can download above.